This may be a bit off topic for this blog, but I just have to mention this. After 11 years of missing the playoffs, the Edmonton Oilers have finally clinched a playoff spot! The last time they were in the playoffs, they went all the way to the seventh game in the Stanley Cup Finals against the Carolina Hurricanes. After that, not a single playoff game. That’s changing this season, though. Thanks to great play from Connor McDavid, Leon Draisaitl, Patrick Maroon, Cam Talbot, Andrej Sekera, and Adam Larsson, the Oilers are a playoff team. They went from one of the worst teams to possibly taking first in the division in only a year. Amazing turnaround. I have to mention that both McDavid and Draisaitl are among the top 10 players in the league in points, McDavid leading with 89, and Draisaitl having the highest point total with 71 for a German-born player in NHL history. Still 6 games to go! Will McDavid make 30 goals or 100 points? Who knows? Sorry about the diversion from the usual, but this is a big thing for me, being an Oilers fan. Can’t wait for the playoffs! I feel like I haven’t been able to get as much done recently. And this week is going to be very busy. So, what happened in the last week? I’m now at 61% in Theft of Swords by Michael J. Sullivan. This week, I’ll have a lot more time to read, since I’ll be on the bus a lot. Expect a lot more done this week. Only one video. I only managed one for my main channel. But my science channel is about to have a massive number of videos coming. I’m curious how much will happen in April with Patreon, considering the videos I plan to make. Different than what I’ve done before. Just the usual posts, though fewer than normal. But next week will be very interesting! It wasn’t an exciting week, but I’ll be having an interesting one coming up. I actually recorded three videos last week, but only posted one. I’ll be posting the other two this week, plus the first science video for the A to Z Challenge, which will also be done on this blog. That’s what I’m preparing for. I’m looking forward to it! So, you may be wondering what happened last night. I was editing a video, but I was so tired, I went to bed. I didn’t post it! I can’t this morning, because I have to go to work in 30 minutes. But I’ll post it later. Just think, an Authors Answer video on a Sunday. Weird. So, the main channel had a whopping 1 video, while the science channel had nothing. Why? Well, I explained on Patreon why, but I wasn’t liking the weekly science news format. I’d rather make news videos whenever I can, talking about very current news. 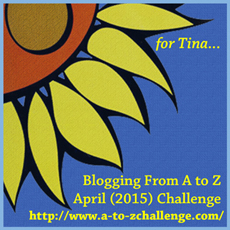 The A to Z Challenge is coming at the end of this week, as well, so I need to concentrate on videos for that. So, let’s get on with this week’s one video! Seems there’s a theme. I talked about why I didn’t have many videos on my main channel. I also talked about my plans. Check it out! And that’s it! I’ll be posting the Authors Answer video later today, I already have a Star Trek Project video done and ready to edit, and I have to get started on the A to Z Challenge videos for the science channel this week. Lots to do! Authors Answer 125 – Is Short Better? You know the advice where authors are told they should be as brief as possible? Cut out any unnecessary words. Keep it simple. Everything short. Easy. Yes? No? How did this paragraph sound? We talk about this very topic. Question 125 – Use short words, sentences, and paragraphs. Do you agree or disagree, and why? Exclusively? No. You need variation in your sentence length, or your writing will sound monotonous. Only if you are writing for children. I assume my audience to be thinking adults with at least average IQ, probably even educated. If they can’t handle a word like existential or thermodynamic, they aren’t going to understand my stories anyway. If this was a law, I would be in jail for life. I have to consciously control the amount of dashes in my work — lest I end up with six sentences broken up like this one inside a single paragraph. Semicolons are also my BFFs. When I edit, I do try to break down some of my impossibly long sentences, especially since I often write them in the rough drafts because I’m still trying to figure out a concept; it’s sometimes possible to replace a whole clause with just a couple words, once I actually get what I’m trying to say. But as I’ve had few complaints over my endless chains of words, and as I’ve read others’ novels which are just as wordy and tangled as mine, I don’t think the commandment to keep things short should be considered as anything more than a suggestion. Yes, reread your stuff — out loud if possible — and chop it up where it needs it, but don’t chop it up Just Because. Agree, depending on the pace you want to keep. You may have a fight sequence. Short words and phrases move the pace quickly, because the action is brisk. Each punch, each kick, each shot, stands on its own. But if you’re waking to a pastoral scene next to a peaceful, meandering river, you want to slow down and relax a bit. Use the flowers, their scent, the taste of the water, the warmth of the summer sun, to lull the readers just a little. Just before you pour gasoline on your characters and set them on fire. You shouldn’t use longer words just to show off your vocabulary, but to avoid them when they do seem more natural to you will come across as dumbing things down. Sentence length should vary. Having too many long and complex sentences in a row can be hard to follow, but having too many short ones in a row can get monotonous. Extremely long paragraphs should be used very sparingly, and never without reason. If you write children’s books, then yes. Keep it short, simple and easy to understand. If you write YA or for adults then feel free to expand upon the sentences. When short sentences and paragraphs are used too frequently the writing seems choppy and incomplete. To provide the reader with ample detail and imagery longer, more complicated sentence structure will be required. However, when writing a children’s book you need to take care to watch length and vocabulary. There’s a place for everything. You’re a writer; words and sentences are your tools. They are the building blocks that you use to create worlds and breathe life into characters – you should know how to use them. Long, rolling sentences take longer to read. They serve a purpose when used properly; I use them to explain things that take a long time to happen, or need a lot of words for. They come across as luxurious, like thick carpet. Short sentences are the opposite: they convey urgency. They show that things are happening quickly. I try to use short sentences (and words a paragraphs) for fight scenes and tense moments. I think the trick to sentence length is this: read a lot, pay attention when you read, and pay attention to your own writing. Read your writing aloud, get it critiqued, write a lot of things, and eventually it will become second nature. No, no and no. Please don’t. Variety is the writers friend. Learn how to use different word and sentence lengths to create effect. Some shorter sentences have a bigger impact if preceded by a long one. And some long sentences can convey wrought emotions better than any fluttering hearts and shallow breaths (read Pride & Prejudice for examples). There has also been a trend to substitute the use of commas for full-stops (periods). This not only creates a lot of fragments in the grammar, it also ruins the fluidity of the prose. Sometimes it works, depending on the voice, and intended style. But generally speaking, if you are not writing a story from a robot’s POV, avoid the stilted narrative and structure your sentences correctly. Except for when they demand you don’t for the purpose of effect. Using too many short sentences can also suggest the author is unable to handle complex sentences and concepts. In my own writing, I tend to err on the side of short to medium paragraphs (though one paragraph could be one whole single sentence :D). I find white space is a writer’s best friend. However, no matter what I say, it’s more important the writer finds their own style, what they feel comfortable writing. There’s no point inserting long words you don’t feel confident using, as that will be transparent. If using simpler text works for you then do that. I just finished a brilliant book called Chicago Loop which is an intricate exploration into the mind of a man with sexual psychosis. The vocabulary is not overly demanding but it didn’t stop the author from creating complex layers of character, so it read a lot more densely that it would have in the hands of a less experienced or talented writer. What I would say all writers should avoid is the use of too many function words. Even with a good story too much <<to have/to be/doing/went/got/looked (my worse faux pas in first drafts)/etc.>> combinations and weak verbs and nouns will make an interesting concept bland. Disagree. That sounds like a choppy staccato mess. Variation in word, sentence, and paragraph length help a story flow more naturally and appear visually pleasing on a page. No. Short words are not better words. Short sentences are not better sentences. Neither are short paragraphs. Disagree. It all depends on a number of factors. I definitely agree that sometimes a thought can – and should – be written in the simplest, shortest way possible, but sometimes a bit of a ramble is necessary. Complex thoughts require complex words/sentences/paragraphs, and simple ones should be quick and to the point. All in all, any story should use a wide variety of all possibilities. There should be short sentences/paragraphs, and long ones, and the complexity of the word should depend on the point that particular word is trying to get across. Trying to keep everything as short as possible – or alternatively, trying to go the long route – makes a story boring. There needs to be variety, always. I disagree, mostly. The length of sentences can affect the pacing of the scene. The length of paragraphs can affect how you read. The length of words can affect how you view the age level. But that’s not all. Ideally, there should be varied length in paragraphs and sentences, as well as words in some cases. If you’re writing an action scene, short sentences can be beneficial. It can make the scene feel more exciting. Shorter words can make you feel like you’re reading a children’s book. Shorter paragraphs can look like you can’t expand on anything. On the other hand, a wall of text can be difficult to read. Shorter words can dumb it down. Don’t do this. Shorter sentences can be useful for action scenes. Use when appropriate. Shorter paragraphs are more common in dialogue, not narration. It really depends on the conversation. Vary the structure to make it sound more natural. That is important. What do you think? Do you prefer shorter or longer words, sentences, and paragraphs? When is it appropriate for them to be shorter? Let us know in the comments. What’s the Best Star Trek? As you may know, I’m a big fan of Star Trek, and I’m currently attempting to go through all of the series and movies. I’m also thinking about getting back into playing Star Trek Online, which I played once about 5 years ago for one night. But I’m not talking about the game, I’m talking about the TV series. Star Trek: The Next Generation – This has always been my favourite. Star Trek: Deep Space Nine – Great storytelling. Star Trek: The Original Series – Just a lot of fun, even though the acting isn’t always the best. Star Trek: Enterprise – So much promise for a great series, but it had a few problems. I still enjoyed it a lot. Star Trek: Voyager – Good idea, but I felt it had the weakest episodes. I still enjoyed it, though. I’m really wondering where Star Trek: Discovery will fit in. So, what do you think? How would you rank the series?